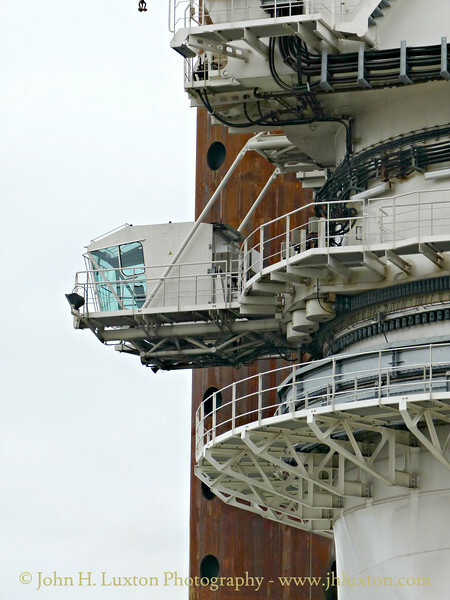 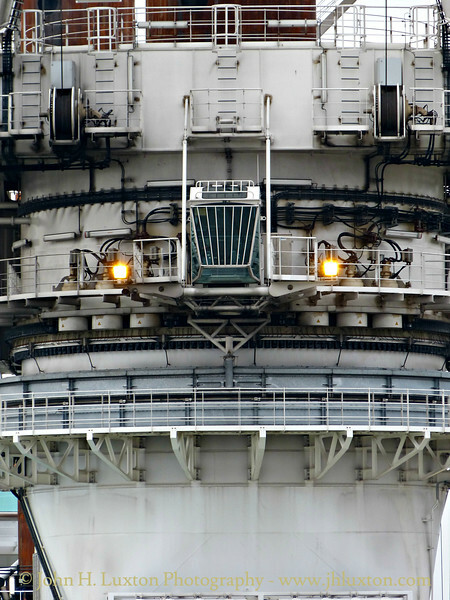 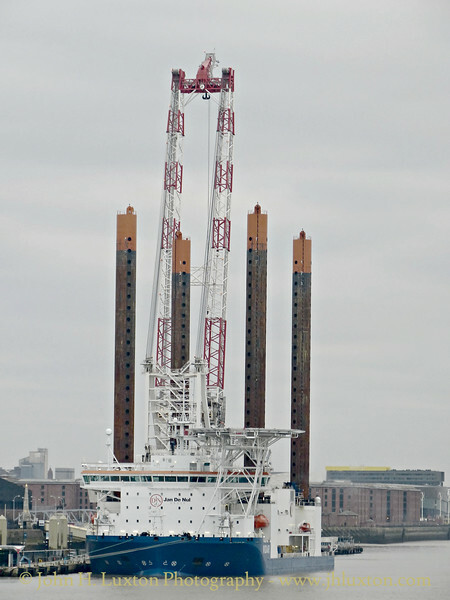 Constructed in 2013 the vessel was specifically built to install offshore wind farms and is one of the largest of its kind in the world. 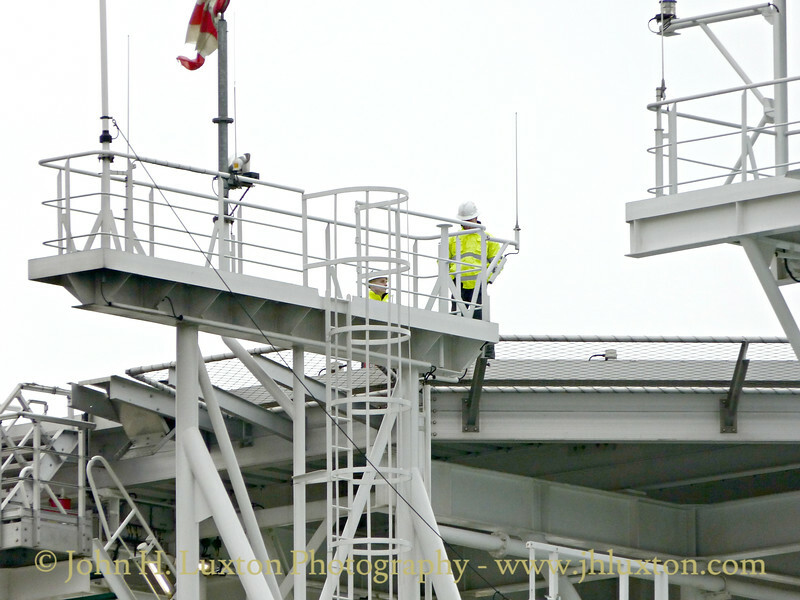 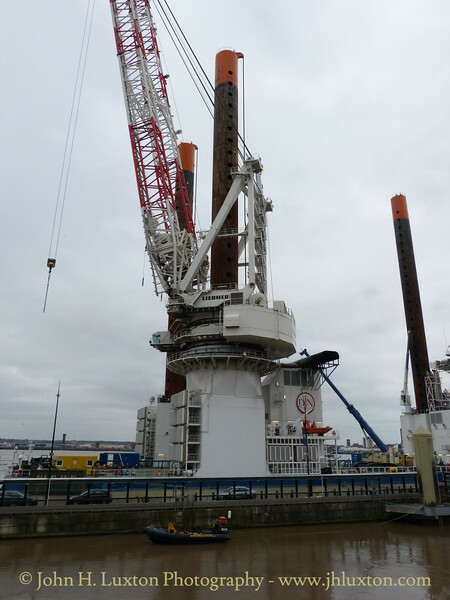 The large cargo deck space and payload and the lifting capacity of its crane up to 1,200 tonnes enable swift and safe installation of the heaviest foundations and other components of offshore windparks. 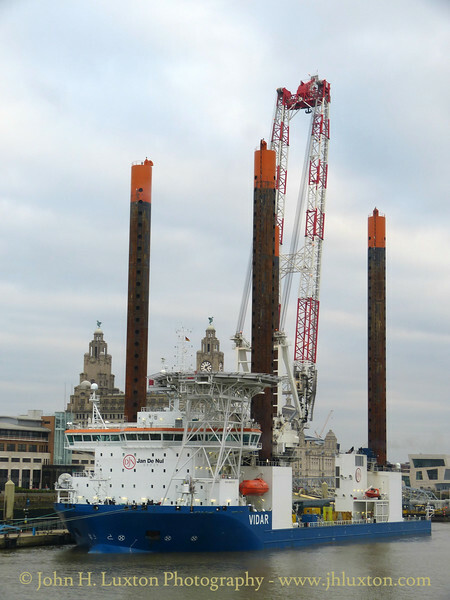 The vessel is 140 m long and is equipped with four legs to lift itself above the sea level for stable working without impact of the waves. 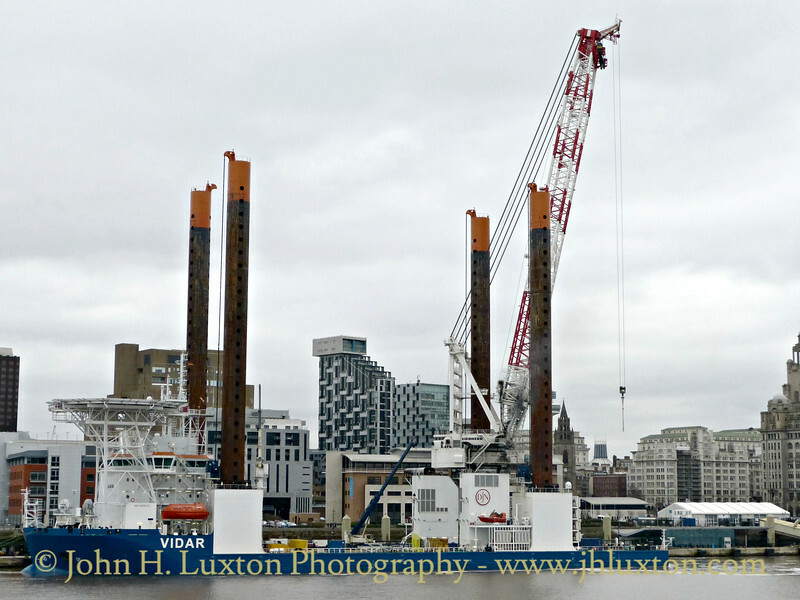 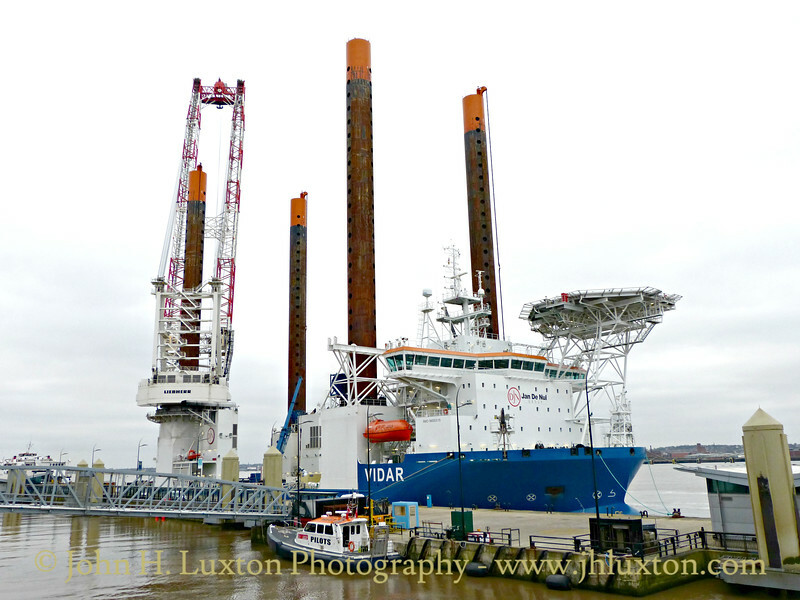 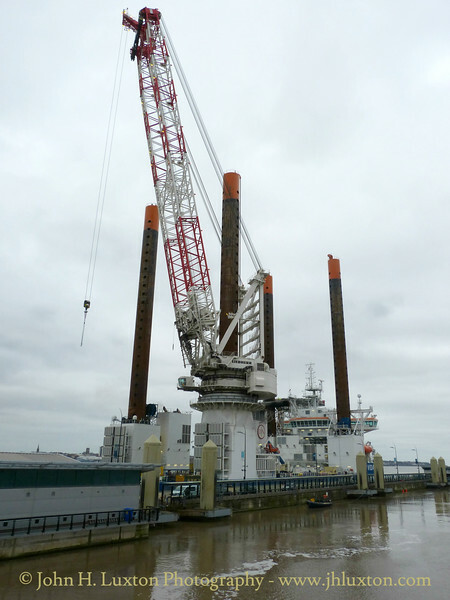 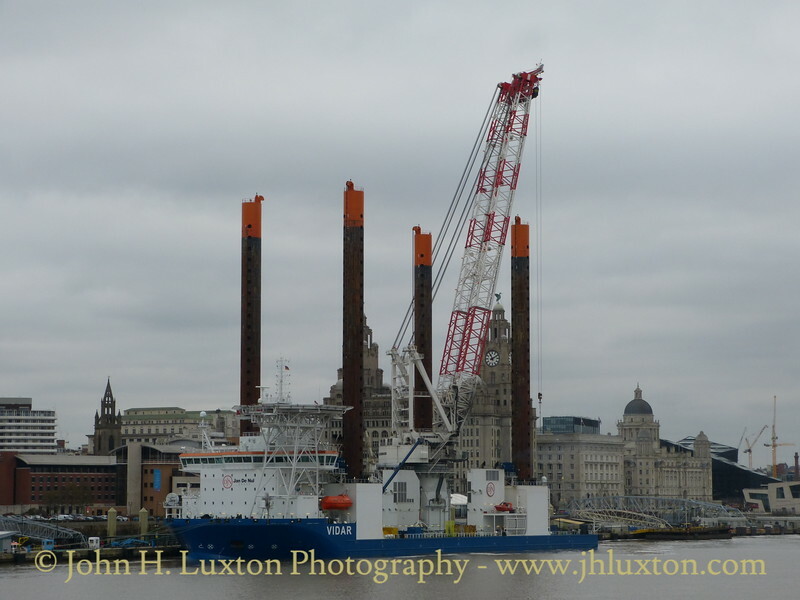 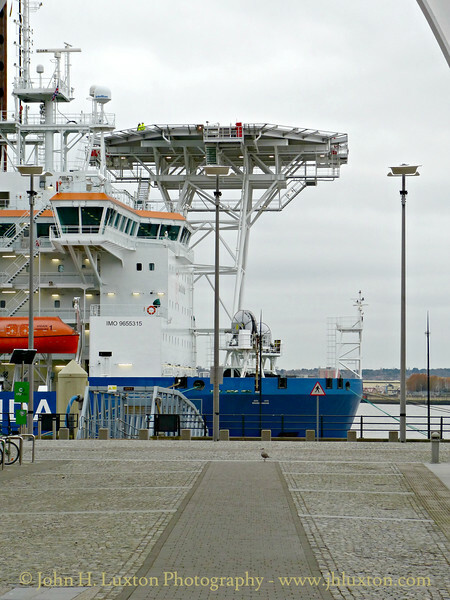 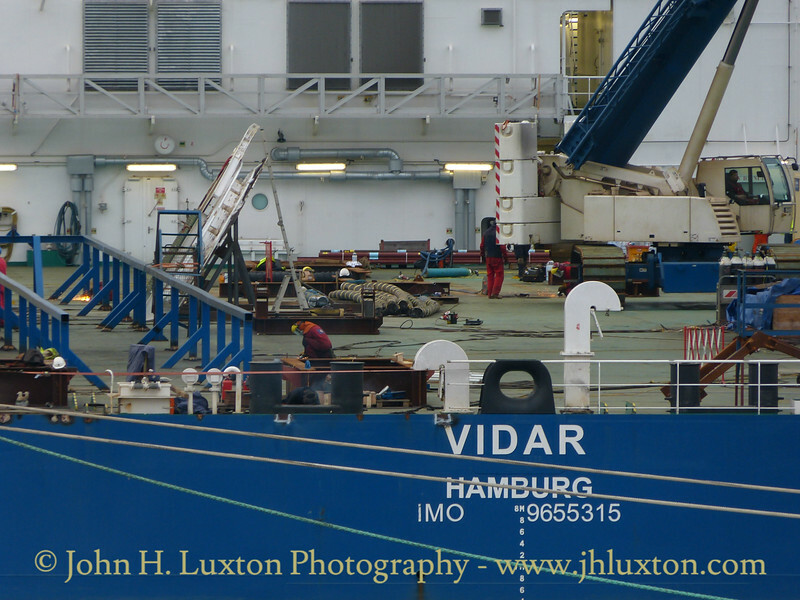 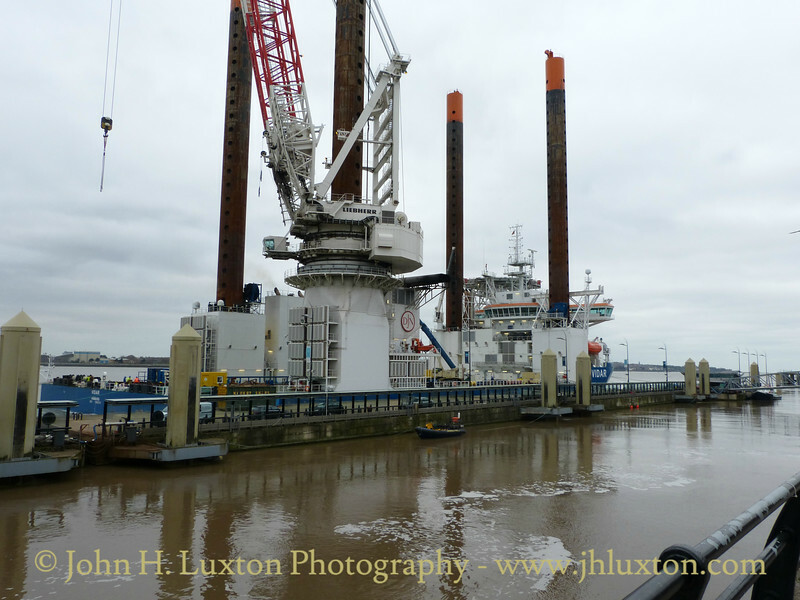 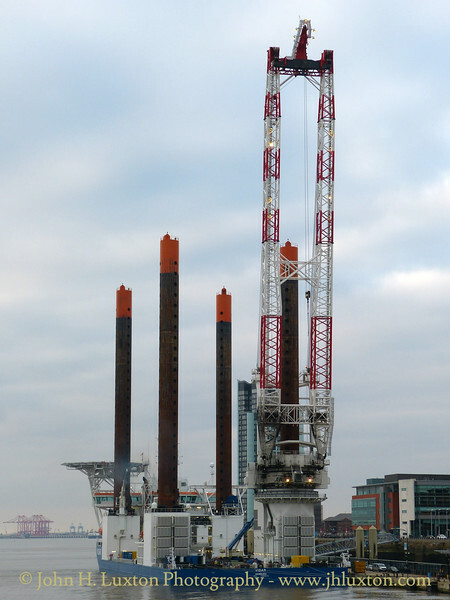 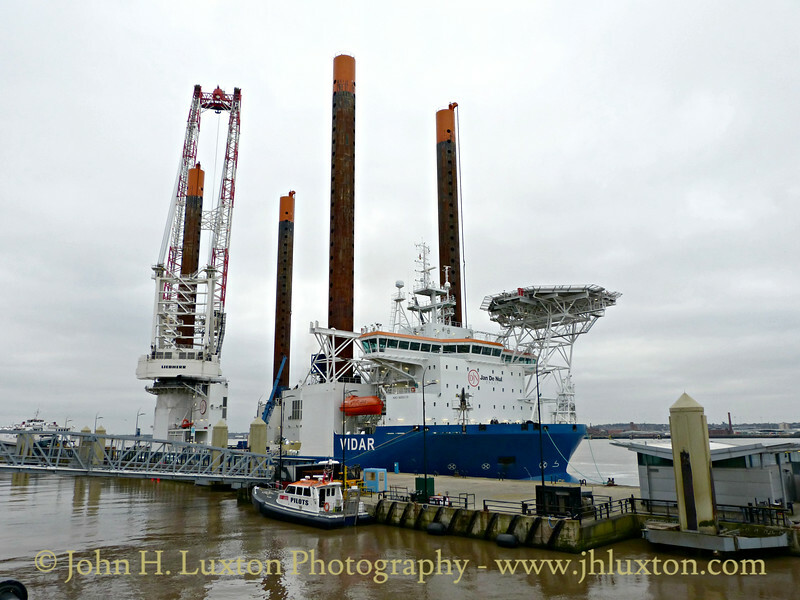 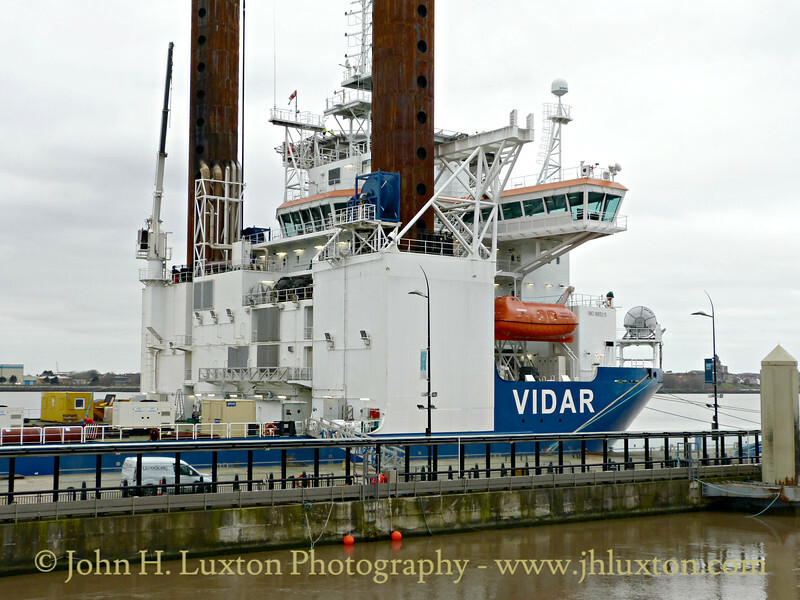 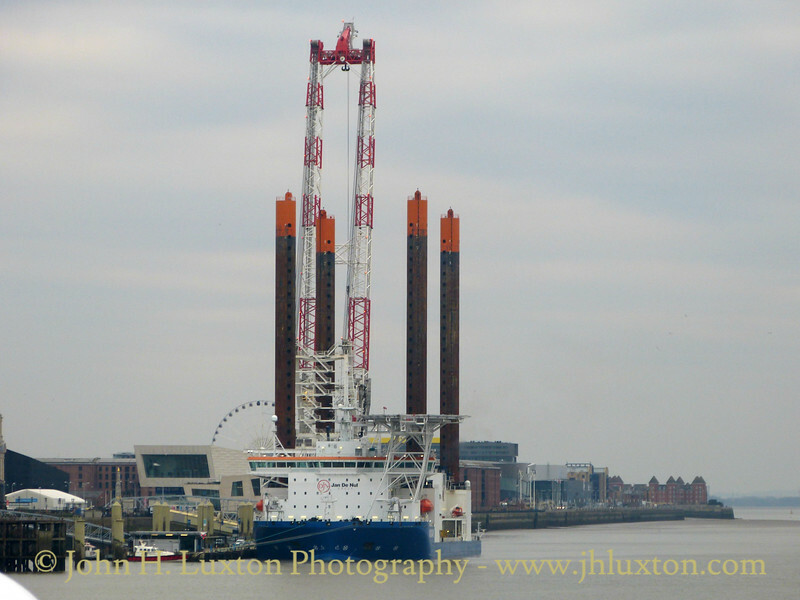 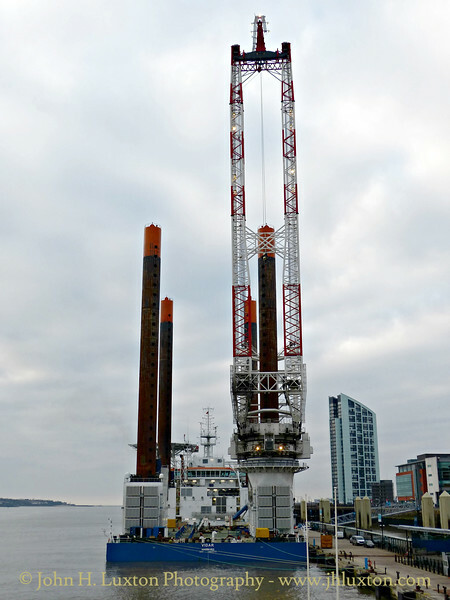 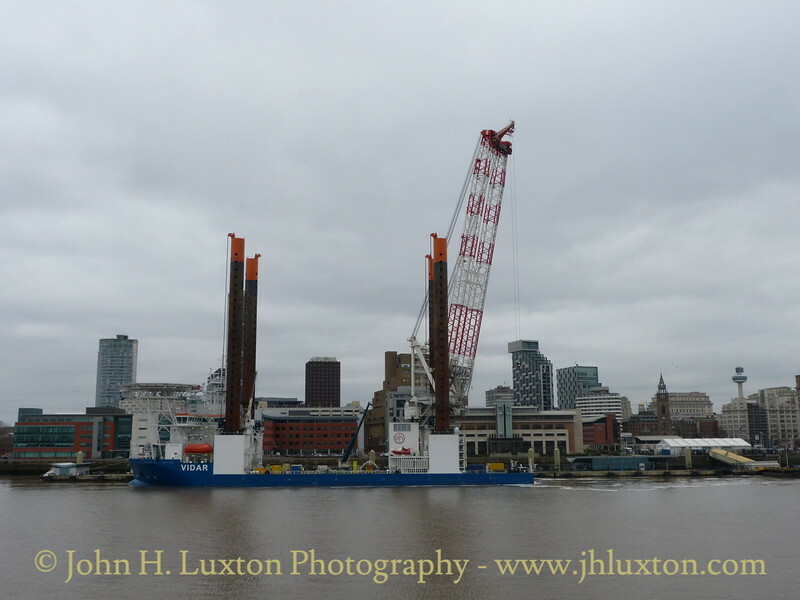 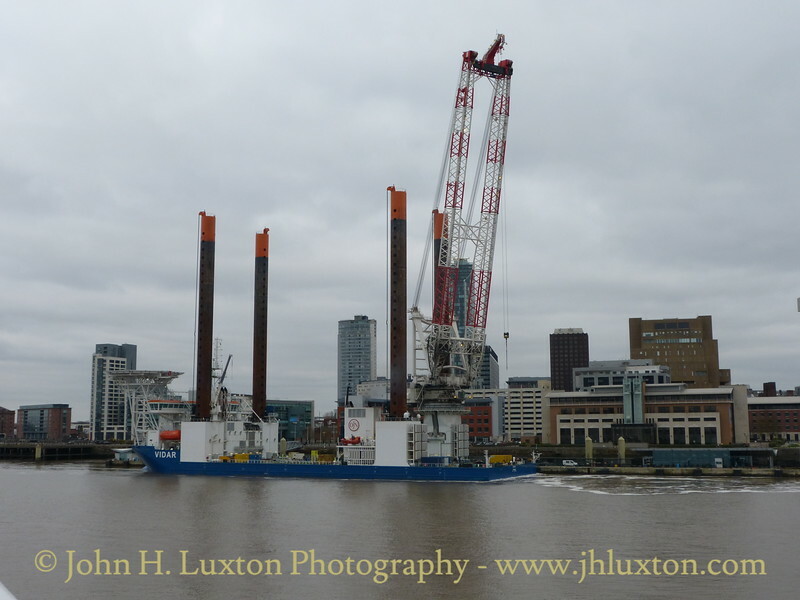 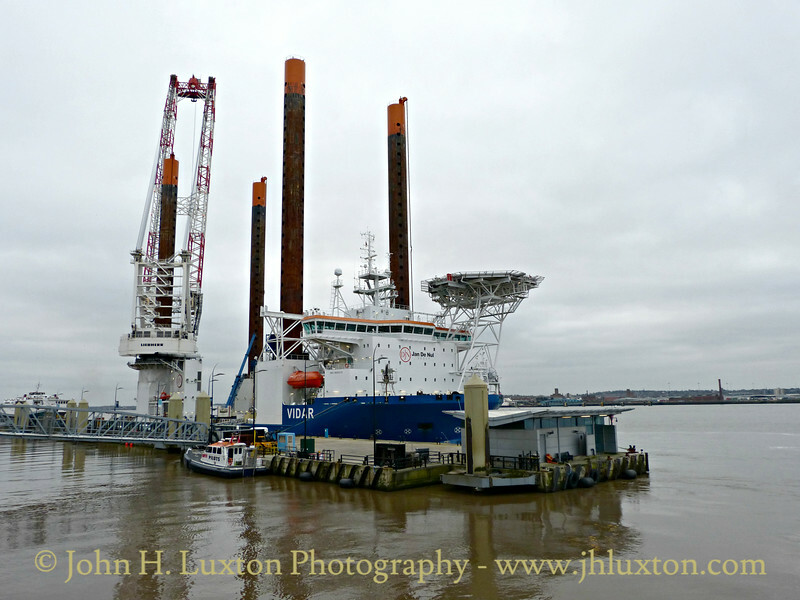 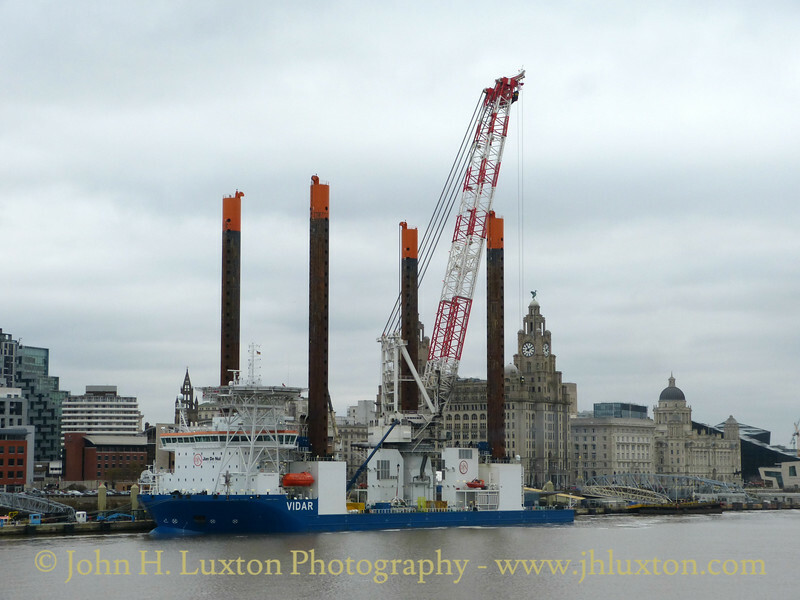 The vessel can install all kinds of foundations, as well as the latest generation of wind turbines, in water depths up to 50 m.
Jan De Nul Group offshore jack-up crane vessel VIDAR at Liverpool Cruise Terminal on Saturday March 19, 2016. 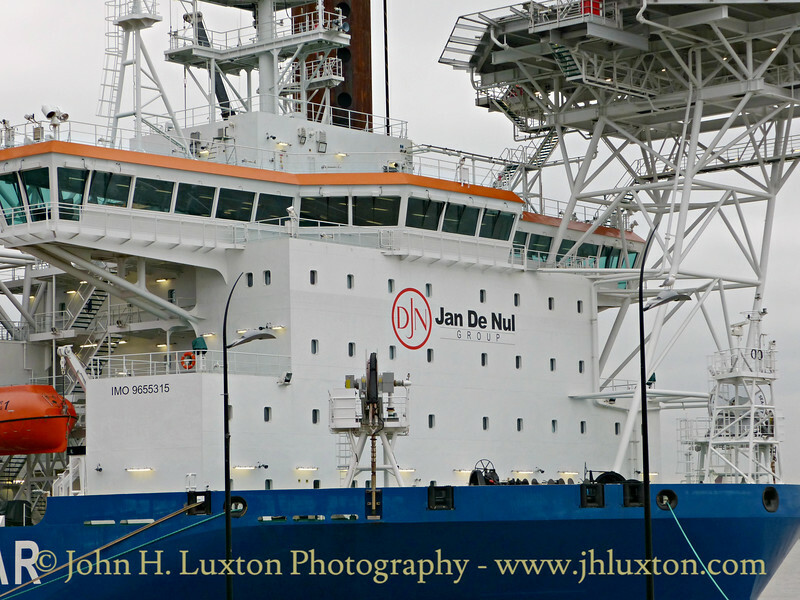 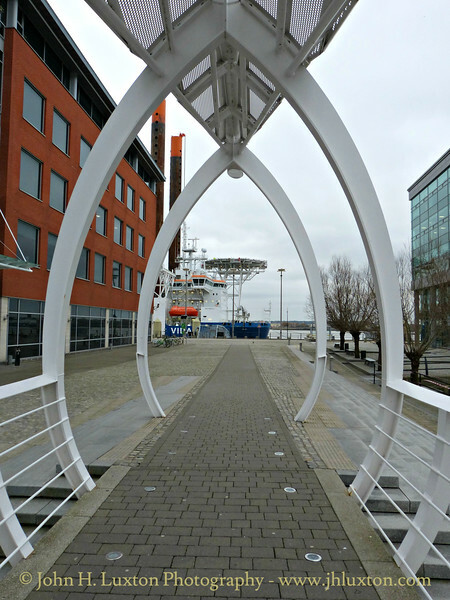 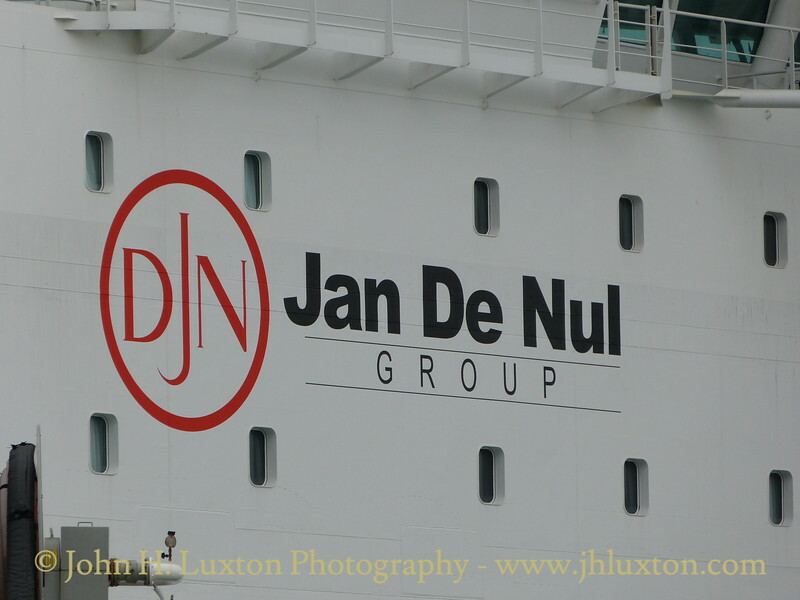 She was acquired by the Jan De Nul Group in 2015 having formerly been operated by Hochtief.